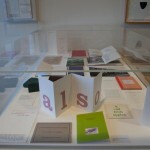 Printed in Norfolk presented twenty years of publications by Coracle Press in an exhibition that toured four UK venues. 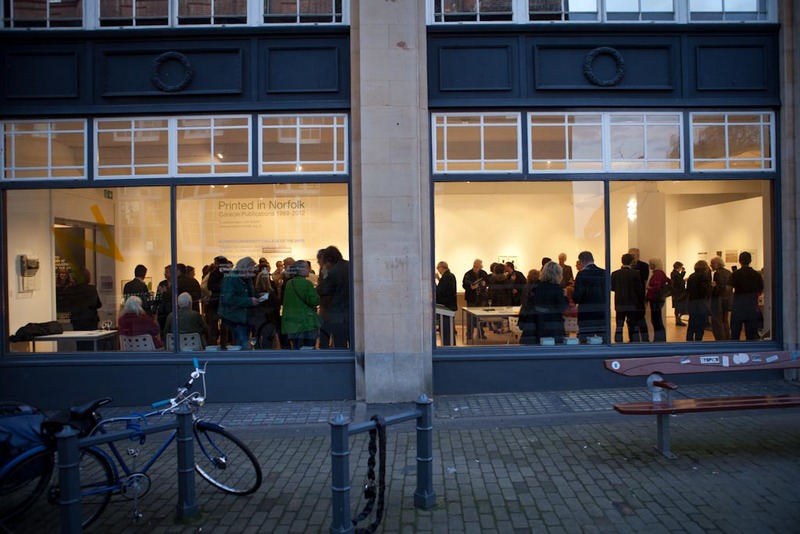 The exhibition tour finished in December 2012. The catalogue for the exhibition was designed by Colin Sackett and features essays by Coracle director Simon Cutts, writer and poet John Bevis and by Tate Britain’s Curator of Modern and Contemporary British Art, Andrew Wilson. It is available to buy from Site Gallery and from Cornerhouse Books. 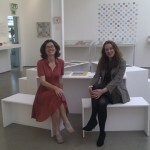 Scroll down to read our final exhibition blog. 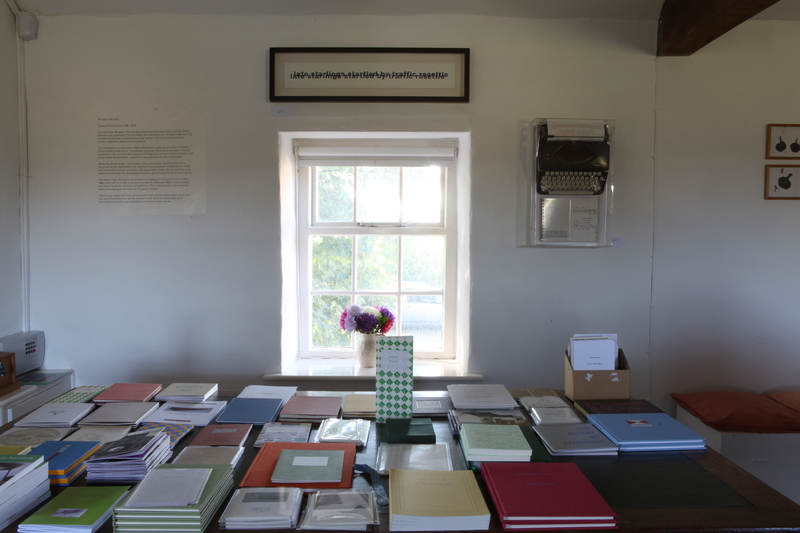 Printed in Norfolk has finished now and the boxes of books and other works that made their way to England from Ballybeg in County Tipperary are now sitting on a kitchen table in Docking in Norfolk, waiting to be collected and sorted through. We have made some wonderful new friends – in Norwich Neil Powell, Louisa Milsome, Tom Simmonds and Sarah Beare, in Sheffield Laura Sillars, Judith Harry, Jane Faram, Kira Askaroff, Charlotte Morgan, Joanna Loveday and Jen Smith, in Shandy Hall Patrick and Christine Wildgust, Eleanor Camille-Wood and Helen Williams and, at the Poetry Library in London Chris McCabe, Pascal O’Loughlin and Chrissie Williams. 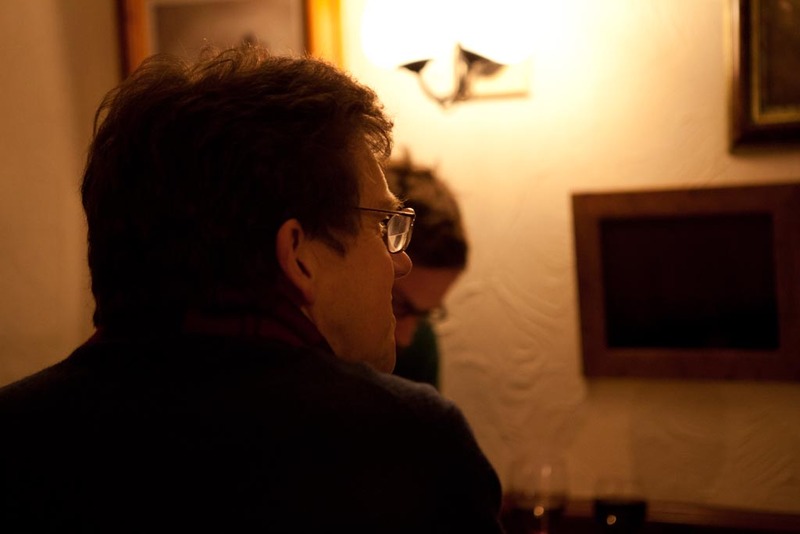 We have also lost a friend and colleague, Martin Rogers of RGAP, who died just as Printed in Norfolk came to an end. 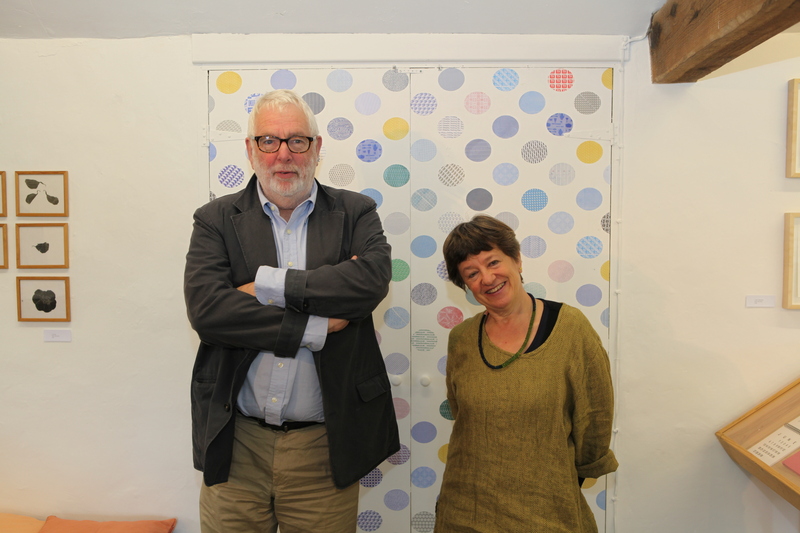 Martin had been closely involved in planning the exhibition tour but, from the summer, his illness meant he could no longer be actively involved. 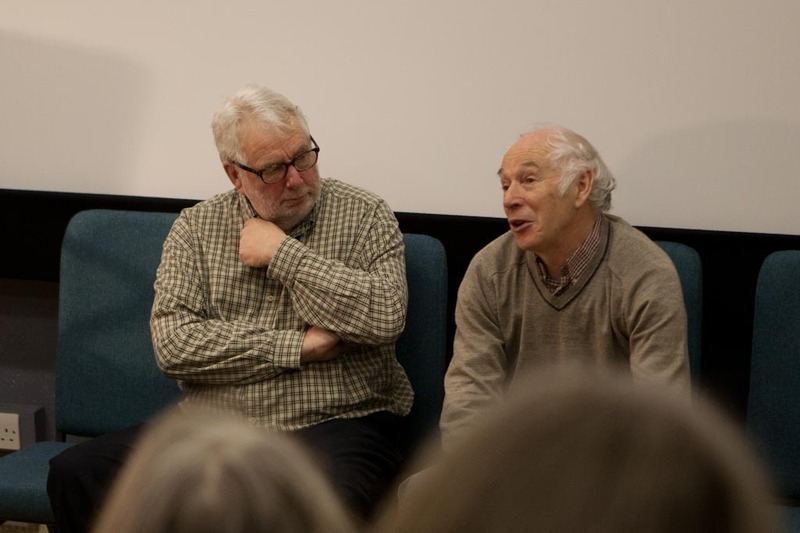 Simon, Erica, Helen and many of the artists and poets featured in Printed in Norfolk attended a celebration of his life in Derby on 14 December. 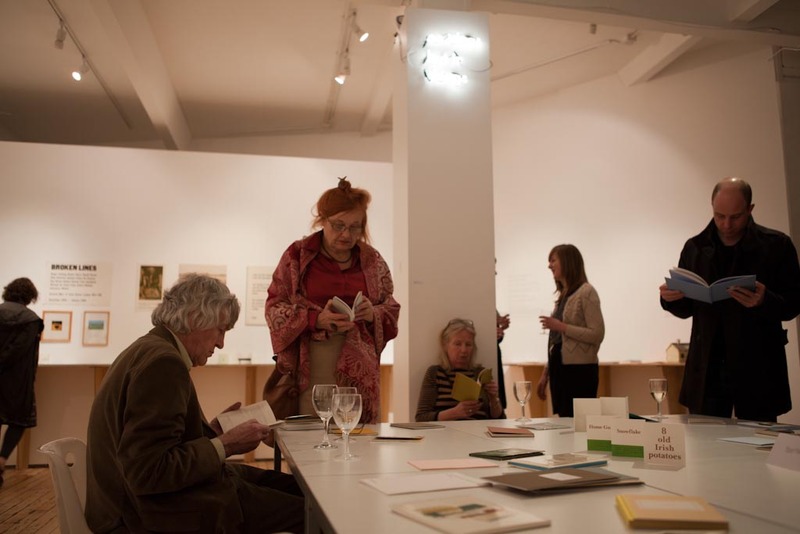 He is greatly missed and plans are being made to secure the future of RGAP’s artists’ books archive and the Small Publishers’ Fair – both of which are Martin’s creations. 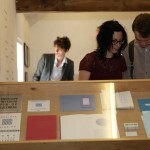 Printed in Norfolk took the work of Coracle Press to audiences in Norwich, London, Sheffield and Coxwold in North Yorkshire.The exhibition was complicated to install. 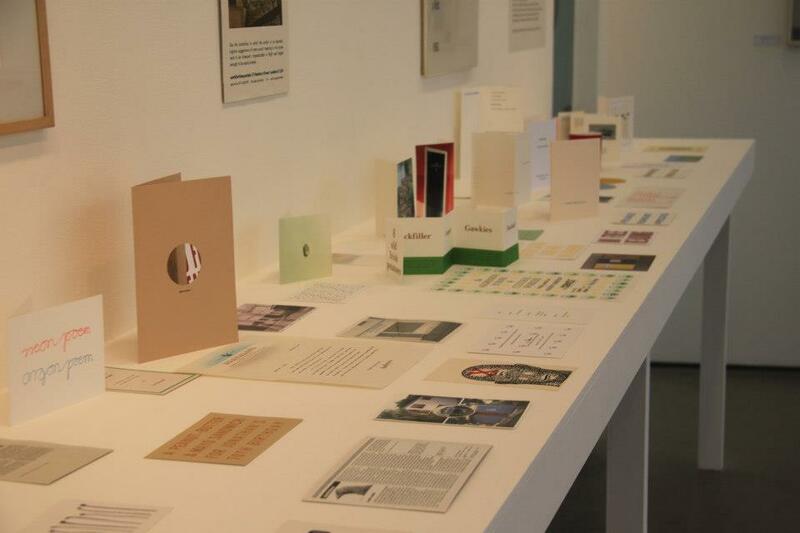 As well as vitrines and wall-mounted works there were several vinyls and a small neon, an Envelope Interior to install, shelves of ephemera and postcards, and reading room areas for people to handle and read artists’ and reference books. 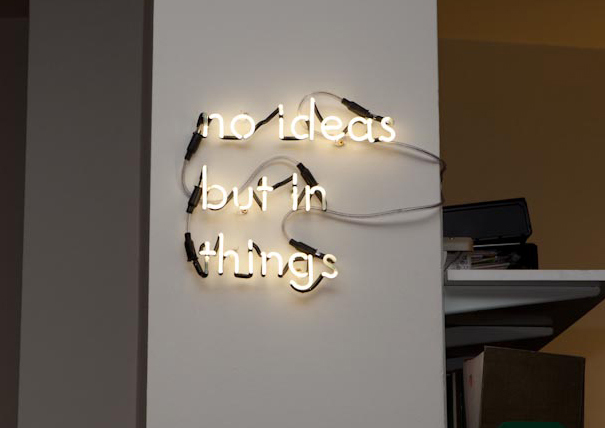 In each of our venues, the exhibition fell in to place beautifully. It was seen by over 9,700 people. 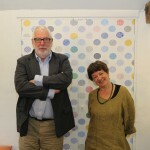 We liked that The Guardian’s Robert Clark called the exhibition ‘timely and inspiring’. 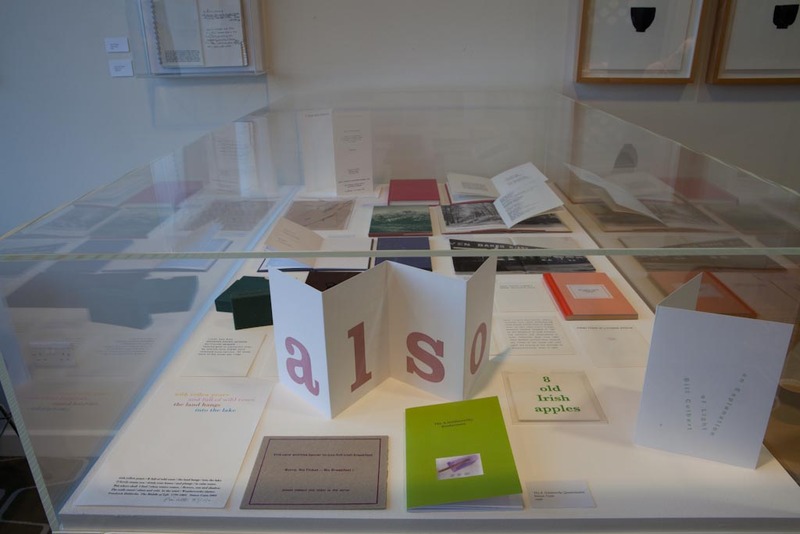 We also liked these blogs by Liverpool-based exhibition organiser and writer Linda Hopwood, by book artist and lecturer Les Bicknell and by creative art museum interpretation professional and PhD researcher Alex Woodall. 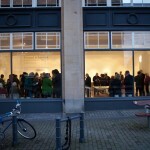 A packed house for the opening at The Gallery at NUCA in Norwich. 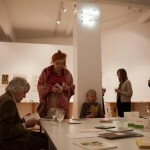 Guests at the opening in Norwich settle in to read some of the books. 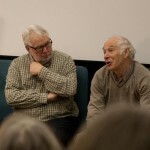 Simon Cutts and book binder Stuart Settle in discussion during the lecture ‘The Metaphor Books’ in NUCA’s Duke Street lecture theatre. 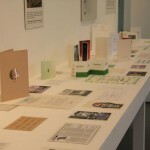 The long shelf created to display postcards and ephemera at Site Gallery. 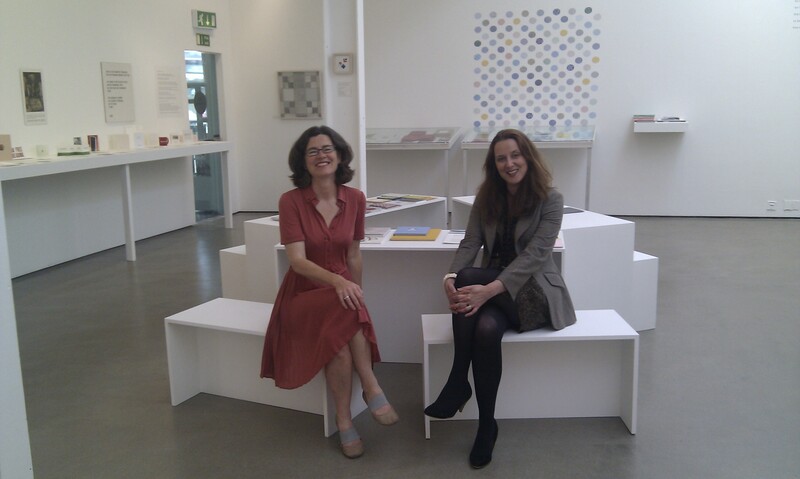 Printed in Norfolk organiser Helen Mitchell and Site Gallery Director Laura Sillars. 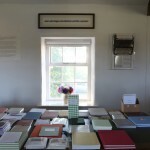 Books on sale for the opening at Shandy Hall. 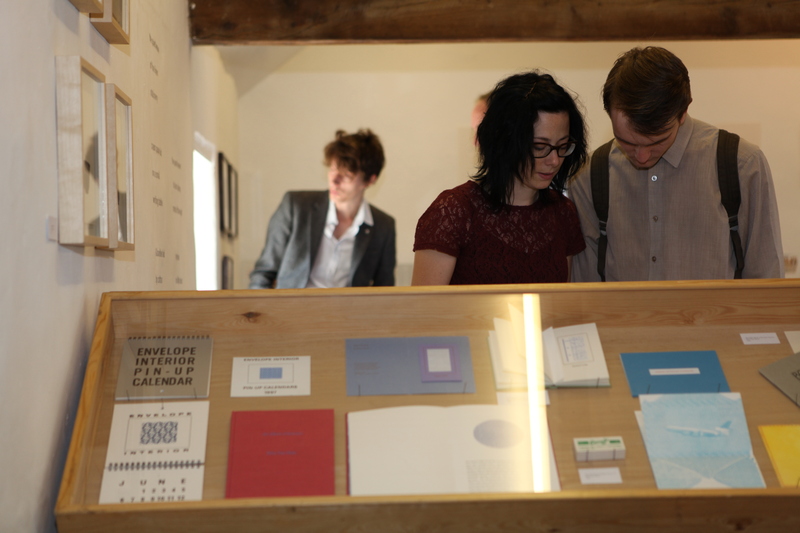 Simon Cutts and Erica Van Horn with the Envelope Interior at Shandy Hall. Shandy Hall vitrine. On the wall behind, the Emily Dickinson poem. 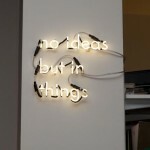 Simon Cutts’ neon ‘no ideas but in things’, from the quote by America poet William Carlos Williams. 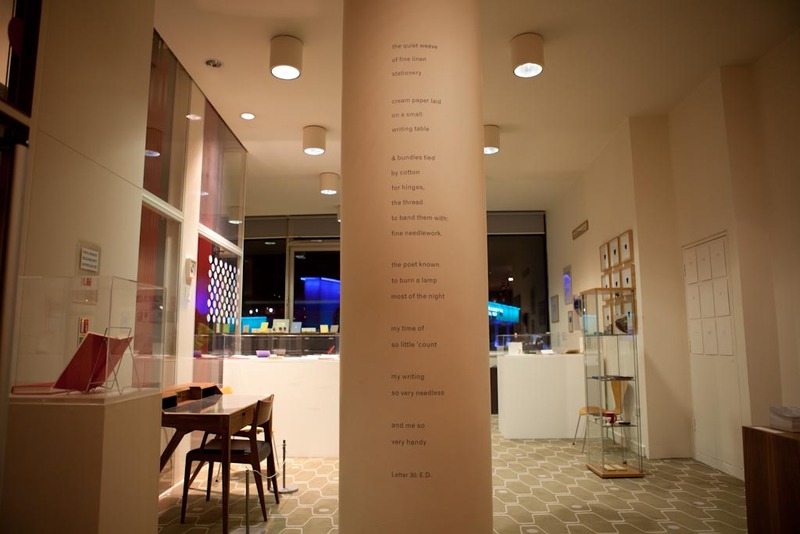 Emily Dickinson poem in The Poetry Library. 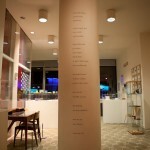 Vitrine in the Poetry Library. 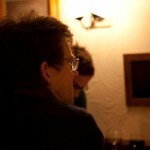 Martin Rogers at Take 5 after the opening in Norwich.